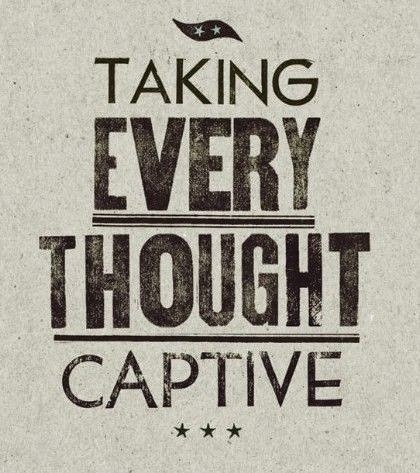 This week in our home we are focusing on self-control and taking our thoughts captive! I feel like over the past few weeks I have let my lack of self-control and discipline take over too much and much of that has to do with my thoughts! It is also very important to me that my children learn the act of self-control and speaking positive words over themselves and not negative ones! We all can think of one situation where we lack self-control and discipline...for me it is ALWAYS with sweets, shopping, and amount of time spent on social media. I love sweets and that is why I have tried so hard to create "healthy" sweets so that I can still indulge occasionally! And there are times when I feel like my phone is glued to my hand...so I have to be purposeful about putting my phone on silent or even taking Facebook off my phone for a couples days! But lately I have been getting out of control, I am founding that I am letting things go more....lacking discipline and self-control. There are multiple areas that one can struggle with when it comes to self-control...food, exercising, shopping, the words that come out of your mouth, and time spent on social media aka Facebook and Instagram. The one thing I have learned is that our thoughts play such a huge part in this. Our thinking directly affects our emotions and actions. 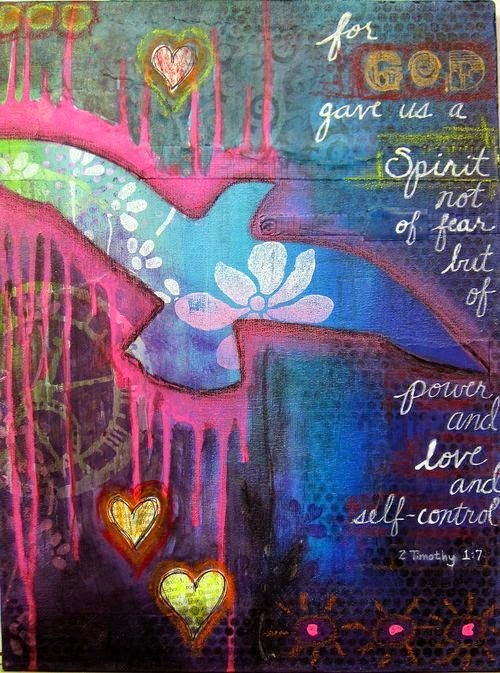 To live with self-control means to exercise restraint. 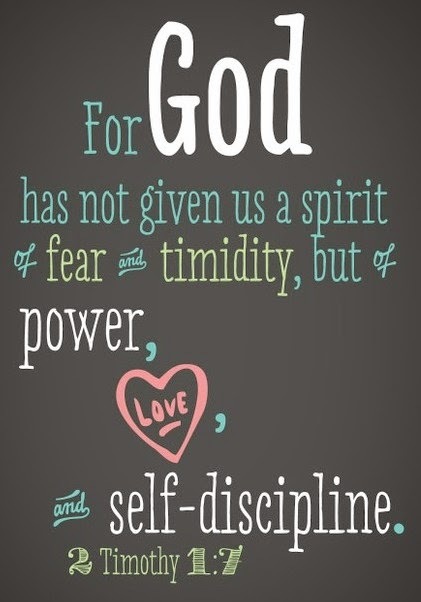 Restraint is not easy, but it shows character, strength, and wisdom. Mentally you have to tell yourself "I am disciplined and self-controlled" every day. Believe me I struggle every day with something, but the more positive you are, you CAN OVERCOME! 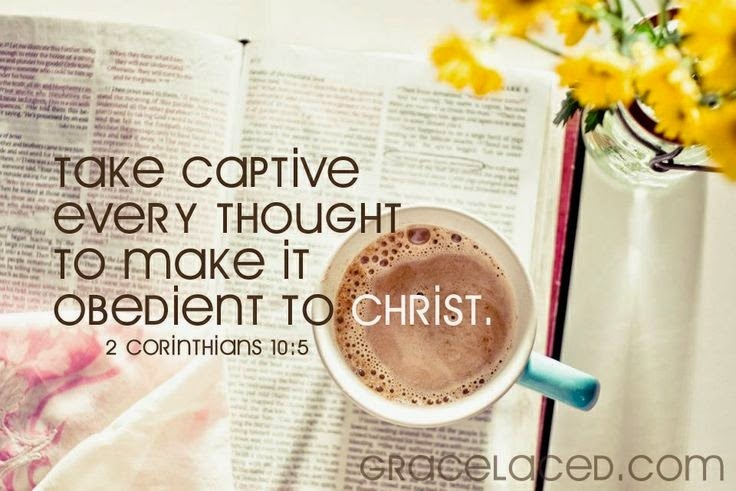 I love these verses and I encourage you to post somewhere today in your house like I did today that "I am disciplined and have self-control" and "Take every thought captive"!